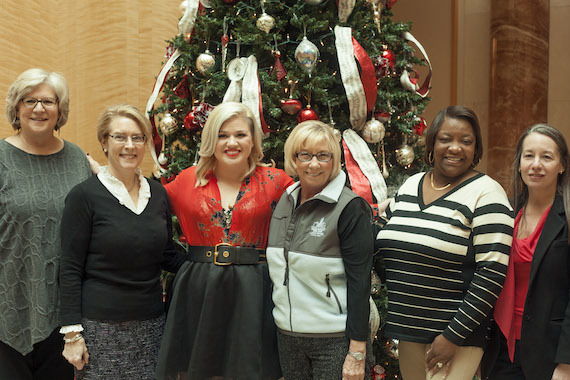 Kelly Clarkson posed with representatives from the four nonprofits that will benefit from this Saturday’s Miracle on Broadway concert event at Nashville’s Bridgestone Arena. The group gathered to discuss the event which features special guests Kix Brooks, Garth Brooks, Ronnie Dunn, Charles Esten, Shane McAnally, Martina McBride, Kacey Musgraves, Reba, Meghan Trainor, Hayley Williams (Paramore), and Trisha Yearwood performing their favorite holiday songs. You can donate by texting MIRACLE to 41010. Pictured (L-R): BMI’s Clay Bradley, BMI songwriter Guthrie Trapp, BMI songwriter Steve Cropper, BMI’s Mary Loving and David Preston. Pictured (L-R): Musicians Pete Abbott, Guthrie Trapp, Jamie McLaughlin, Firekid, Meredith Morgan, Jimmy Wallace and Dave Santos. 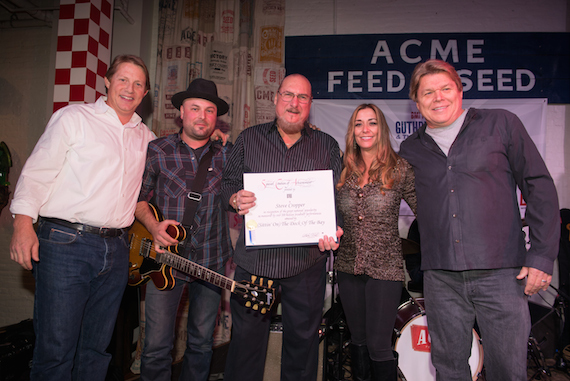 Broadcast Music, Inc. writer Steve Cropper was honored with another Million-Air certificate for his iconic hit “(Sittin’ On) The Dock of the Bay,” reaching an incredible 10 million broadcast performances. Cropper was presented with the award after playing at BMI’s HDRadio-sponsored showcase, Trapped Above Ground. 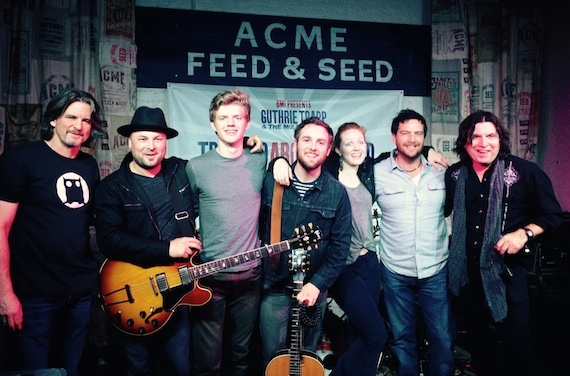 Guthrie Trapp and his Mule Kickers band are the hosts of the free, weekly event, bringing up-and-coming songwriters to play alongside legendary acts at Nashville’s Acme Feed and Seed. 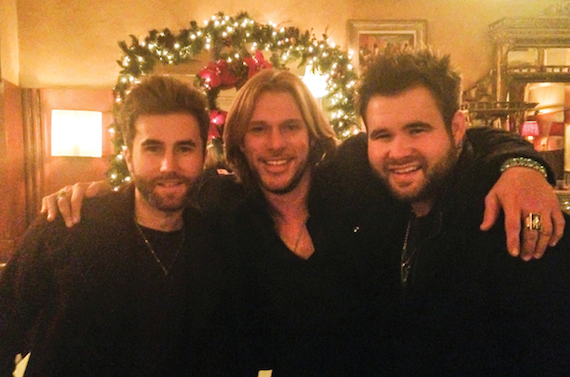 Pictured (L-R): Colton Swon, Craig Wayne Boyd, and Zach Swon. While making media appearances in New York City, Arista Nashville’s The Swon Brothers received a surprise dinner invitation from The Voice’s newly crowned season seven winner, Craig Wayne Boyd. The Swons, likewise veterans of The Voice and Team Blake, grabbed a bite with Boyd at New York’s Bond 45, where fans were delighted to spot the stars and get a few photo opps of their own. 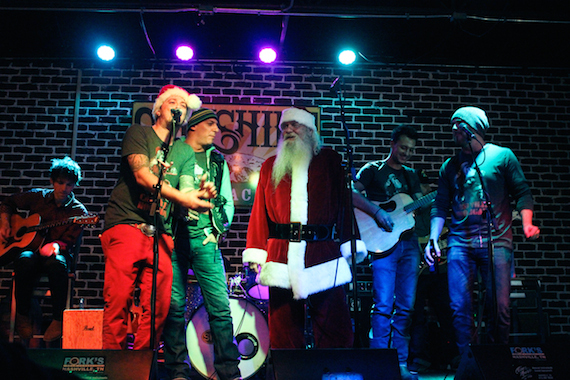 Earlier this week Stephen Barker-Liles and Eric Gunderson of Love and Theft hosted their 2nd annual Toys for Tots benefit show here in Nashville. The event took place at Soulshine Pizza and featured performances by the duo as well as their songwriter friends including Tyler Reeve, Michael Ray, Stevie Monce and Trent Tomlinson. Guests were asked to bring a toy to donate or buy a t-shirt in support of the great cause.